If you’re looking to embark on a utopian journey filled with romance, insecurities and reflecting on days gone by, then you need to catch The Spook School at Newcastle’s Cumberland Arms on Friday 11th May. The Scottish indie pop outfit’s sound often blurs the lines between cheerful and dark; their melancholic lyrics drip through a cocoon of optimistic crescendos across colourful indie dance tracks, suggesting that The Spook School are very much that ‘something different’ you’ve been searching for. Outrageously catchy tunes are firmly on the agenda and with more enthusiasm and cheer than old-school 90s pop, what is there not to love? Released earlier this year, latest album Could it Be Different? 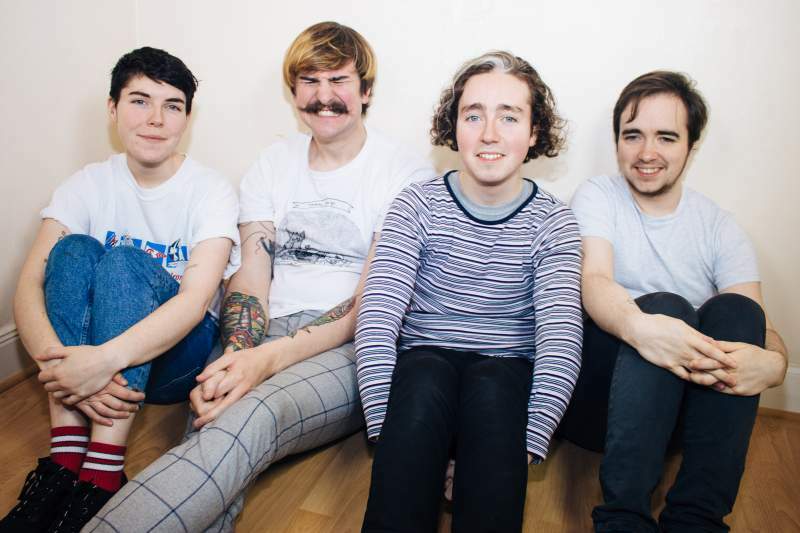 sets the tone for what to expect, with energetic bursts of passion and delicate Scottish tones which mourn past tribulations, as on the tragic Bad Year, This band may appear all sunshine and flowers but they also have plenty to say. Support acts Peaness, a beguiling alt. indie trio from Chester, and London’s dream-popsters Ski Saigon are also along for the ride, making it a night full of artistic, exuberant musicians.